Italy's Francesco Molinari was almost lost for words after capping an incredible season by winning the European Tour's Race to Dubai. The 36-year-old then became the first European player to compile a perfect 5-0 record in the Ryder Cup victory at Le Golf National, having already teamed up with Tommy Fleetwood to make history as the first European pair to win all four of their matches together. And Molinari's status as European number one was officially confirmed at the DP World Tour Championship as soon as Tommy Fleetwood was unable to claim the victory he required to overhaul his good friend. "Incredible, incredible," said Molinari, who embraced Fleetwood on the clubhouse steps once the result was confirmed. "You know, now I'm going to have time to sit down and relax and really think back about the last few months. "I'm really struggling for words. It's more than I ever dreamed of achieving. I've seen guys that I think are better players than me not winning majors and not winning Order of Merits or Race to Dubai. To achieve those things, you know, in one single season, is just incredible." Molinari is set to be the first golfer to be awarded the Collare d'oro al merito sportivo, the highest honour conferred by the Italian National Olympic Committee, after which he will face the tough task of planning how to improve next season. "I don't know who is more tired between Tommy and I," he added. "We both looked exhausted on the course. It is a long season and we play a lot of tournaments. "The Ryder Cup was an amazing week, but it does take a big toll and now it's time to relax and recover and try to get stronger for next year. To be honest I don't know how to face next season yet. It's going to be nearly impossible to repeat or to beat that, but after a break I need to start working hard and get ready for another good season. "It's a new challenge. We've been doing very well this year when it comes to the challenges. I had never won a Ryder Cup match and I won five out of five. "Carnoustie was really not my favourite place, to say the least, before this year, and to go there and win it's incredible and it's probably impossible to process still all of that." Danny Willett claimed his first win since the 2016 Masters with victory in the DP World Tour Championship. 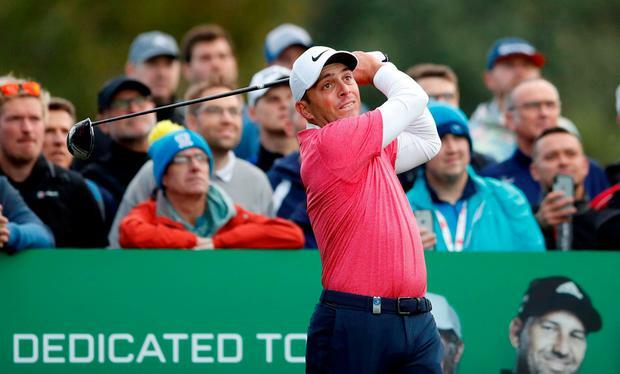 The 31-year-old from Sheffield had not tasted victory since winning his first major title at Augusta National and had slumped from a career-high of ninth to outside the world's top 450 earlier this season after numerous injuries and a loss of form. Willett credits coach Sean Foley - who formerly coached Tiger Woods - and fitness trainer Kev Duffy for his resurgence, first teaming up with Foley at last year's US PGA Championship when he admitted he was "pretty low and open to trying anything" to save his career.